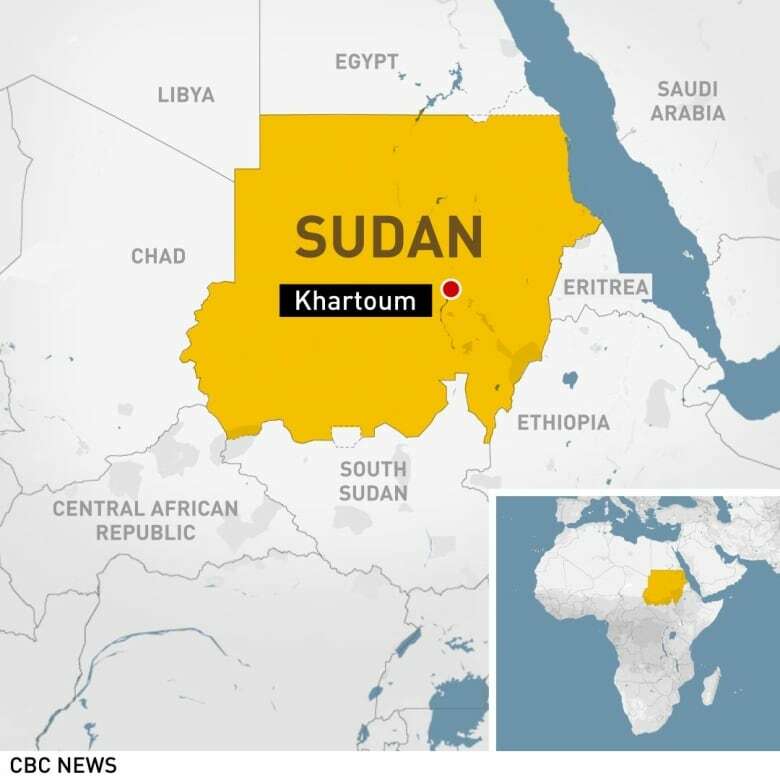 The Sudanese military on Friday swiftly replaced the country’s transitional leader linked to the Darfur genocide after street rallies against him, and said it wouldn’t hand over ousted president Omar al-Bashir to the International Criminal Court, where he faces charges of crimes against humanity. “I, the head of the military council, announce I am giving up the post,” Ibn Auf said on television, adding he took the decision to “preserve unity” of the armed forces. “I am confident he will steer the ship to safe shores,” he said of Burhan. Burhan’s record appears to be cleaner than the rest of al-Bashir’s generals, and he is not known to be implicated in war crimes or wanted by international courts. He was one of the generals who reached out to protesters at the week-long encampment near the military headquarters, meeting with them face to face and listening to their views. 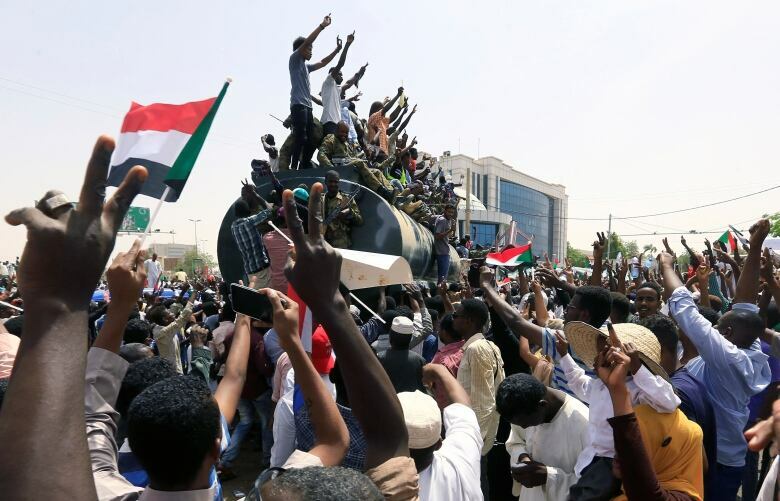 Chants rang out across the sit-in where tens of thousands have been rallying in front of the military headquarters to protest the military takeover of power after Bashir’s ouster. “Revolutionaries, we will continue our path,” the protesters shouted as they danced and clapped. Earlier Friday, another top general, Col. Gen. OmarZeinAbedeen, said military authorities will not extradite Bashir but will try him at home before the nation. He added that the ouster “was not a coup” but a response to the people’s demands. The protesters rejected Ibn Auf’s leadership because he was head of military intelligence during the brutal campaign to suppress the Darfur insurgency in the 2000s. The U.S. has imposed sanctions on him since 2007, saying he armed and directed pro-government militias known as the Janjaweed, accused of widespread atrocities against civilians and rapes during the conflict. The move also underscores the limits on the reach of the International Criminal Court. On Friday, ICC judges rejected a request by the court’s prosecutor to open an investigation into war crimes and crimes against humanity in Afghanistan and alleged crimes by U.S. forces there, in part because the U.S., Afghan government and Taliban are not expected to co-operate. In the Darfur conflict, rebels among the territory’s ethnic Central African community launched an insurgency in 2003, complaining of discrimination and oppression by the Arab-dominated Khartoum government. The government responded with a scorched-earth assault of aerial bombings and unleashed the Janjaweed. Up to 300,000 people were killed and 2.7 million driven from their homes. Both were among those reported by the Sudanese media to have been arrested Thursday in a sweep by the military against Bashir’s inner circle. Zein Abedeen confirmed the media reports Friday without specifying the two men. An ICC spokesperson declined to comment on Bashir’s case. On Thursday, Amnesty International and Human Rights Watch urged the Sudanese military to hand over the ousted leader. “Victims of the gravest crimes in Darfur should not have to wait any longer for justice,” said Jehanne Henry, associate director at Human Rights Watch. Meanwhile, Zein Abedeen sought to reassure protesters who, while celebrating Bashir’s removal, oppose the military’s seizure of power. After ousting the president, the military announced it would rule the country for two years through a transitional council. It also suspended the constitution, dissolved the government, declared a three-month state of emergency and imposed a nighttime curfew. “If within a month, Sudan became able to run itself without chaos, we are ready to leave even after a month. The maximum is two years,” he said. He said the military would only appoint the defence and interior ministers in any transitional government and would not interfere.